At exactly noon today, Donald Trump inherited the @POTUS Twitter account. Unfortunately, when he took over the account, his header photo was a picture from Barack Obama’s inauguration in 2009. While Donald Trump inherited Obama’s handle and followers, it’s important to note he did not inherit his header photo, meaning someone on his team was responsible for choosing it. Trump’s inauguration didn’t quite have the same turnout as Obama’s. Obama still gets to keep his tweets and followers, which can now be found at @POTUS44. Although there was big talk of Ivanka playing the role of First Lady in Trump’s administration, Melania managed to cop to the @FLOTUS account. 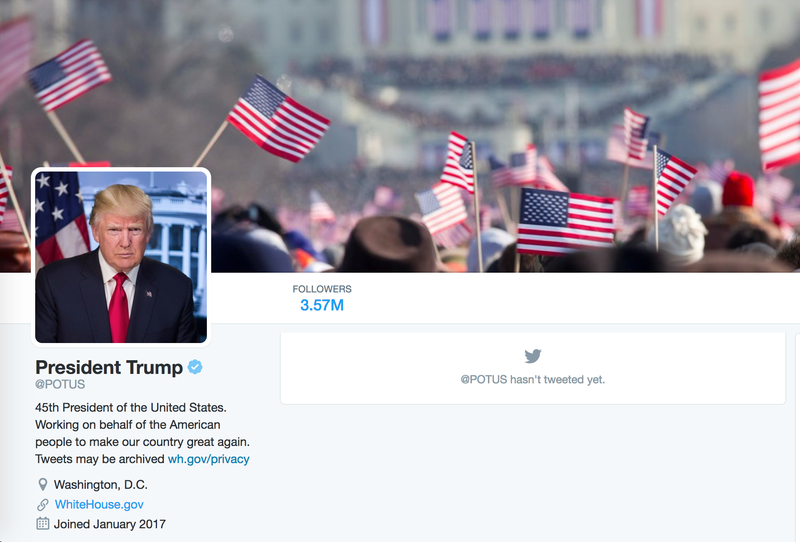 Update 3:25PM: President Trump has changed his header image to an image of him longingly gazing out a window.